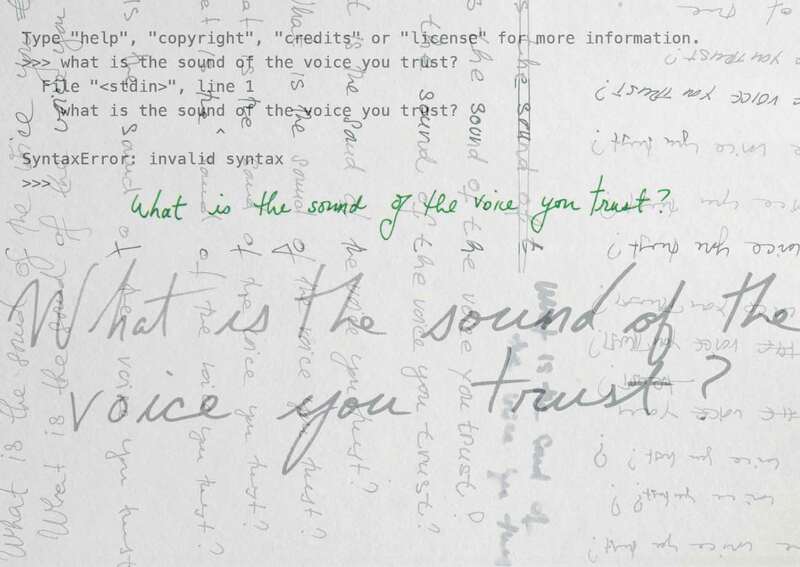 Yvette Janine Jackson, Bojana S. Knežević, Katarina Petrović and Karen Werner explore sounds, meanings and experiences of trust through an experimental creative approach. The idea of this piece is based on a mutual trust between the artists. An 8-channel composition is created from 4 separate pieces made individually and in dialogue, yet without prior hearing of each others' parts. Bojana S. Knežević in conversation with TONSPUR artistic director Georg Weckwerth. Yvette Janine Jackson, born in Los Angeles, California in 1973, lives and works in Massachusetts, USA. Bojana S. Knežević, born in Novi Sad, Serbia in 1983, lives and works in Belgrade, Serbia. 70th TONSPUR-Artist-in-Residence at Q21/MQ. Katarina Petrović, born in Niš, Serbia in 1986, lives and works in The Hague, The Netherlands. Karen Werner, born in Pittsburgh PA, USA in 1967, lives and works in Montague MA, USA. 66th TONSPUR-Artist-in-Residence at Q21/MQ.